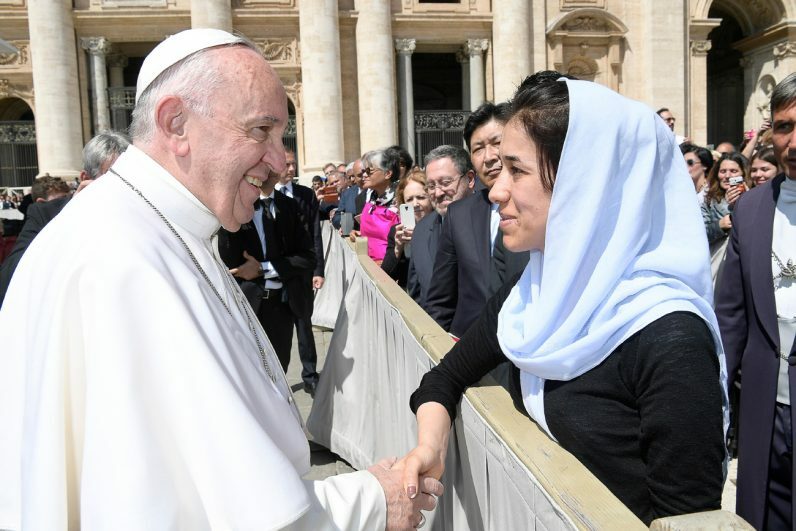 VATICAN CITY (CNS) — Just as it had been for centuries, Egypt can be a sign of hope for those who long for peace, Pope Francis said. The pope’s April 28-29 visit to Cairo began with a gathering organized by Egypt’s al-Azhar University, Sunni Islam’s highest institute of learning. The visit to the university, he said, had the twofold purpose of promoting Christian-Muslim dialogue and promoting peace in the world. “For all of humanity, Egypt is synonymous with ancient civilization, treasures of art and of knowledge, of a humanism that has, as an integral part, a religious dimension — the relationship with God,” he said. Christians in Egypt, the pope continued, play a pivotal role in contributing to peace in the country and are “called to be a leaven of brotherhood,” but that is possible only if Christians themselves are united in Christ. The historic agreement signed by Pope Francis and Coptic Orthodox Pope Tawadros II ending a longtime disagreement between the churches over the sacrament of baptism “renews the commitment” to peace and is “a strong sign of communion,” he said.